Prepare Every Needful Thing | "If ye are prepared, ye shall not fear"
We live in a day of great contrasts. On one hand, the world is ripening in iniquity, the foundational institutions and morals of society are under fierce attack, the earth is in upheaval and we witness wars and rumors of wars among all nations. But the Lord is also hastening His work. The word of the Lord and his Priesthood power are available as never before in the history of the earth, Temples dot the land and the work of the Lord moves forward at an increasing pace. Ours is the great privilege to participate in laying the foundations of the Millennium, to prepare the way of the Lord and to build Zion. We were reserved for this time for this work, to be an example and a strength to those around us. The Lord has blessed us with living Prophets to help us to navigate these latter-day waters and to prioritize how we spend our time, energy and resources. Among those invaluable directions is the repeated warning to become prepared for what lies ahead. The Lord requires a people who are both physically and spiritually ready for the challenges of our day in order to accomplish what needs to be done before He comes again. Our goal on these pages is to help you to hearken to the counsel we have been given, by breaking down larger goals into manageable tasks, providing a forum to share the knowledge each of us has gained, and finding solutions to common obstacles and problems. We hope that this will be useful to you and your families and that the Lord will bless you greatly as you strive to keep His counsel. May the Lord bless your efforts! Categories: May 2013 | Permalink. Preheat oven to 400 F. Grease 12 muffin cups. Whisk together the flour, sugar, salt, and baking powder in a large bowl. Whisk together oil, egg, milk, and applesauce in a separate bowl, then stir the liquid ingredients into the flour mixture. Lightly stir in the blueberries. Fill muffin cups about 2/3 full. Bake muffins in the preheated oven until the tops turn golden brown, and a toothpick inserted into the center comes out clean, about 20 minutes. Categories: Cooking with Food Storage, November 2015 | Permalink. In 1831, the early Saints wanted guidance to know how they should go about the immense work of the gathering of Israel and preparing for the Second Coming of the Savior. The Lord instructed them, “Go ye out from Babylon. Be ye clean that bear the vessels of the Lord.” (D&C 133:5) In the scriptures, Babylon is a symbol of the world and all that the earthly has to offer. Those who choose to follow the Savior must ultimately reject the pleasures, riches and power of Babylon, as no one can serve both the gods of this world and the God of Eternity. As those Saints did in their time, we also have a sacred work to perform today. Whether we are spreading the Gospel, searching after our kindred dead and performing vicarious Temple work, raising the next generation, participating in the temporal salvation of our fellow-beings, publicly standing against the tide of wickedness threatening to engulf our culture, or participating in any other work the Lord has given us, our lives and hearts must be clean and right with Him. There are practices which will help to keep us unspotted from the world and ready to do His work confident in our worthiness to do so. Keep the Sabbath day holy. As we have been taught, this is a sign between us and the Lord that we remember Him and His essential Atonement. Sometimes Sabbath observance requires faith that the work we miss will be made up in other ways, showing a willingness to trust in the hand of the One who provides all. Sometimes this requires the sacrifice of activities, hobbies, and even sometimes family events which are not in accordance with the spirit of the Sabbath. It is a rejection of the world’s belief that happiness consists in doing whatever we want whenever we want to do it and instead trusting that joy comes through submitting our will to One whose vision is infinitely clearer. Partake of the Sacrament worthily. Weekly, we are given the opportunity to review our lives, determine necessary course corrections and then repent and drop the burdens of sin and error at the feet of our Savior. What an amazing gift to be given this fresh, clean start every week! Perform your duties. Jacob wrote that he and his brother Joseph “did magnify our office unto the Lord, taking upon us the responsibility, answering the sins of the people upon our own heads if we did not teach them the word of God with all diligence; wherefore, by laboring with our might their blood might not come upon our garments; otherwise their blood would come upon our garments, and we would not be found spotless at the last day.” We also receive callings which we need to magnify to the Lord, otherwise we are still responsible for the work undone among those we should have served. Live in the world but do not be of the world. We must use the precious gift of agency to choose the best amongst the myriad of options available to us. Our 13th Article of Faith reads, “If there is anything virtuous, lovely, or of good report or praiseworthy, we seek after these things.” It seems, these days, that this often requires considerable work, but we cannot allow the filthy to crowd out the guidance of the still, small voice. Observe the Word of Wisdom. Obey its precepts to keep free from addictive and damaging substances, so that your body can be clean and healthy and ready for any work to which the Lord may call you. Be modest. Do not draw attention to yourself, but give glory to God and turn others to Christ. Categories: November 2015, Spiritual Preparedness | Permalink. When my husband’s grandfather passed away unexpectedly in his early 40’s, he left behind a wife with several children still at home. The couple had married young, and she had little work experience outside the home. Providing for the family was a real struggle for many years. What made it worse was that they had recently decided to cancel their life insurance in order to try to get a business off the ground. It ended up being a very costly choice. At times our financial position may be such that we are necessarily living hand-to-mouth, but when we reach the point of having discretionary funds, we need to provide for future needs. Just like building up our savings, purchasing adequate insurance can make the difference between having time to plan and adjust to misfortune or tragedy or having our challenges compounded by a financial emergency. What is our annual cost of living? Do we need insurance for a temporary stopgap or to provide for the remainder of the survivors’ lives? Are there additional expenses (such as ongoing medical treatments, end-of-life care, college tuition for children, vehicle replacements, debts, etc) that will need to be covered? What type of funeral costs do we need to cover? How might inflation affect the real value of this insurance over time? Going in with a good idea of your needs and goals will make it easier for someone to help you purchase insurance suited to your situation in life. If you already carry life insurance, take some time this month to review your policies. Sometimes your life or family circumstances will have changed your projected needs. Contact your provider with questions or to make changes. In addition to life insurance, review your auto insurance and home or renter’s insurance policies to make sure that they are adequate but not excessive. For instance, if you have a substantial auto and home repair fund, you may be able to save money on your monthly bill by switching to a policy with a higher deductible. You may also want to prayerfully consider additional types of insurance such as long-term care, supplemental medical or identity theft protection. While these may not be for everyone, you may feel prompted to prepare in this way. Never ignore a prompting! Categories: Financial Preparedness, November 2015 | Permalink. During the Civil War, soldiers had an extremely high rate of death from wounds, in part due to ignorance of wound hygiene. Without adequate cleaning and disinfection, foreign objects and bacteria may prevent the closure and healing of a wound, leading to infection, serious scarring and even death, if left untreated. This is one area where an ounce of prevention is most definitely worth a pound of care. 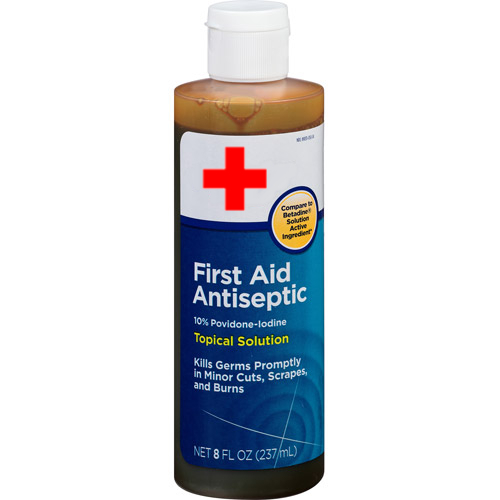 Saline solution is an excellent wound cleaner and does not cause further tissue damage or impede healing. It is also very inexpensive and easy to make at home. 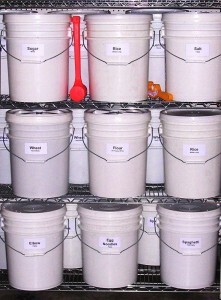 To store your own sterile saline, simply bring clean water to a boil and add 1 teaspoon table salt for every cup. Stir to dissolve and boil 10 minutes. Fill clean canning jars, reserving ½” headspace and process in a boiling water bath for 10 minutes. If you need saline solution for use right away, you can skip all the boiling and simply mix the salt into clean warm tap water. Discard unused product when finished. Betadine or Povidone Iodine is a very effective cleanser and will not inhibit wound healing if the dilution is correct—that is a 1:10 betadine to water ratio of the commonly available 10% solution. For all the details, read here. Over-the-counter wound cleansing products vary in quality and effectiveness and there are too many to review them here. Type in “best wound cleanser” in your search bar or read reviews at online retailers. Hydrogen Peroxide is excellent for mouths, but may cause tissue damage and inhibit healing in some other applications. Rubbing Alcohol is another old stand-by, but is probably best for surface cleansing and instrument sterilization as it also causes a degree of tissue damage. I once worsened a rather deep infection using rubbing alcohol as it killed off healthy surrounding tissue and allowed the infection to spread. An Infant Hair Brush can be helpful in cleaning wounds with embedded foreign particles like sand or gravel. It provides gentle friction without being unnecessarily abrasive. Use under running water to wash away loosened particles. A Squeeze Bottle is useful for irrigating wounds in a situation where running water is not available or practical. The bottle can also be filled with saline or betadine solution. Old shampoo or condiment bottles will work, but make sure they are well-washed! Categories: Equipment and Supplies, November 2015 | Permalink. Part of the aftermath of a record wildfire season here in California is the potential for devastating floods and landslides as we move into the rainy part of the year. Plants, shrubs and trees provide stability to soils, and when they are destroyed, saturated ground may slide downhill, destabilizing additional soils, uprooting trees and destroying structures in its path. 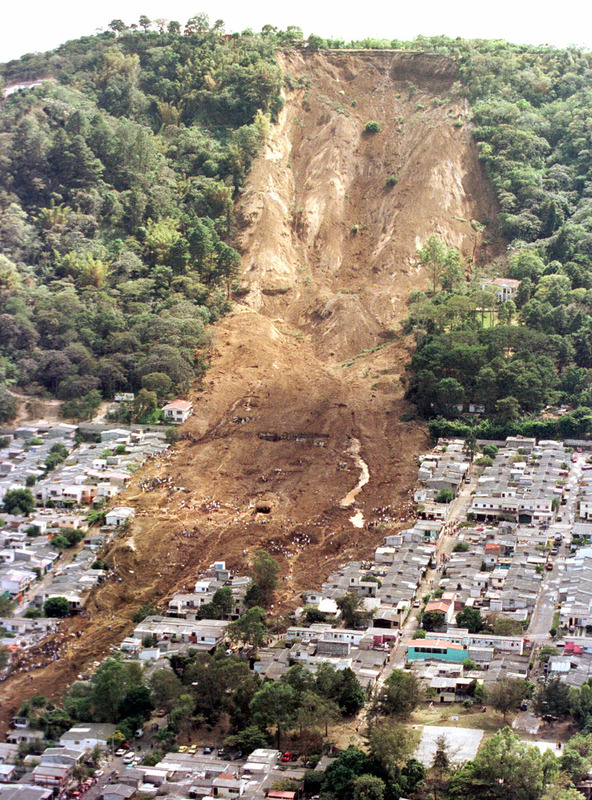 It is estimated that landslides cause about $1 billion of damage annually in the US alone. Prepare by maintaining erosion-preventing landscaping and retaining walls around your property. When rains begin, pay attention to runoff patterns (especially points where water converges), note seasonal creeks, and avoid these areas during storms. If pooling, flooding or run-off have been problems in the past, you may wish to have a professional assess your property and recommend improvements. Make sure your 72-hour kits are packed and ready for any emergency. Watch out for warning signs of landslides: shifting or cracking concrete foundations, patios or driveways; doorways and windows out of square; lampposts, fenceposts, and decks leaning; a sudden increase or decrease in water flow in creeks; increasing noise as the landslide approaches. During storms when landslides are likely, stay alert and listen to weather reports. Contact local police and fire departments for current conditions and recommendations. Contact neighbors, especially the elderly, to see if they need assistance. Evacuate if you feel prompted to do so and follow recommended routes to avoid getting trapped or caught in the landslide. If you choose to stay you may be safer on a second story. If you find you cannot escape, curl into a tight ball and protect your head and neck with your arms and hands. Categories: Emergency and Disaster Response, November 2015 | Permalink. Store names provided when I thought they might be helpful in keeping costs down. If you are having a hard time finding items for the price listed, leave a comment by clicking on the link at the top of the left sidebar and I will give you my pricing info. Pricing is subject to change…as anyone shopping these days can testify! Categories: Food Storage, November 2015 | Permalink. Straw and hay. Good for use in the garden. These encourage a bacterially dominant soil which is excellent for healthy vegetables and garden fruits. Purchase seed-free to prevent introducing new grass seed to your beds! Leaves. Very nourishing and enriching as it breaks down, but it is a good idea to run the lawnmower over them before you spread them or you could end up with a layer that water will not penetrate. Bark and wood chips. A good choice for around trees and shrubs as they encourage a healthy fungal zone that helps with nutrient uptake in woody plants. Gravel, pebbles and stone. These have thermal mass that will help warm soil in the spring and moderate overnight temperatures. Some growers recommend a ring of pea-sized gravel in the 6”-8” inches immediately surrounding tree trunks as it will not harbor pests or bacteria. Plastic. Irrigation systems must be installed underneath as it is non-permeable (sprinklers will not work! ), but it can do a great job of suppressing weed growth and conserving moisture and warmth. Certain plants prefer certain colors—for instance, use red for strawberries, silver for peppers and black for potatoes. 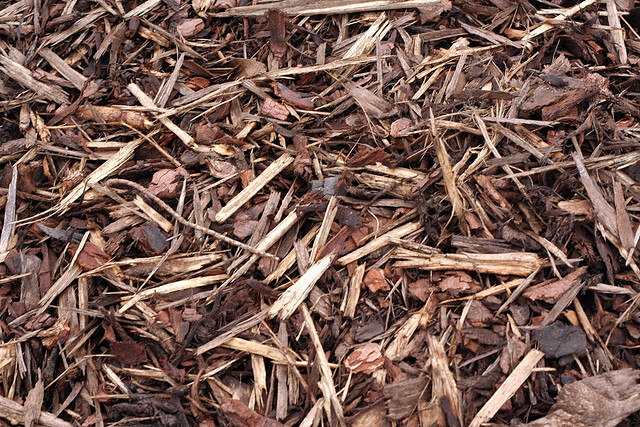 Note: You may want to avoid mulch initially when you are direct-seeding in the garden as it may inhibit germination and seedling growth, just as it does with weeds. A better alternative might be to cover your seeds with burlap or a floating row cover. These will also conserve moisture, allow water infiltration, prevent erosion and moderate soil temperatures, but will allow light to stimulate growth. You can then switch to a mulch when the plants are established. Categories: Home Production and Gardening, November 2015 | Permalink.